ImmersaView VADDAR made a successful debut on more than 30 booths at I/ITSEC 2015. It was a fantastic experience working alongside a large number of defense primes as part of Operation Blended Warrior (OBW) and with a number of our international partners. OBW showcased the next level of capability in Live, Virtual and Constructive (LVC) integrations and our partners used VADAAR for a number of innovative applications. VADAAR in action with the above OBW participants. VADAAR helped bring OBW together by providing context for participants and observers. 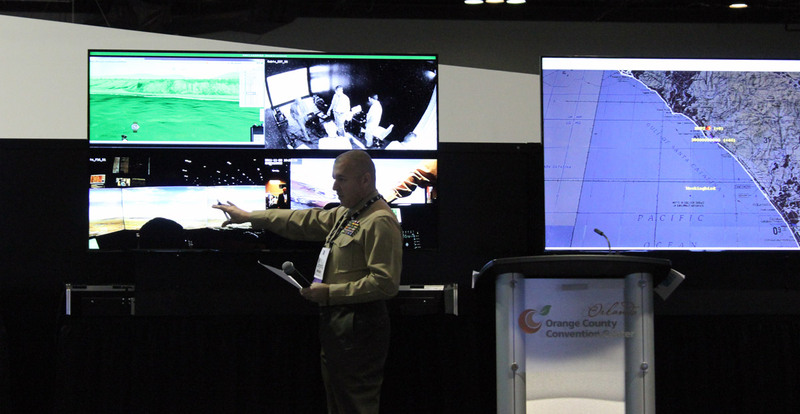 The operations center (Booth 339) enabled participants to see what was happening during a distributed LVC exercise across the show floor. 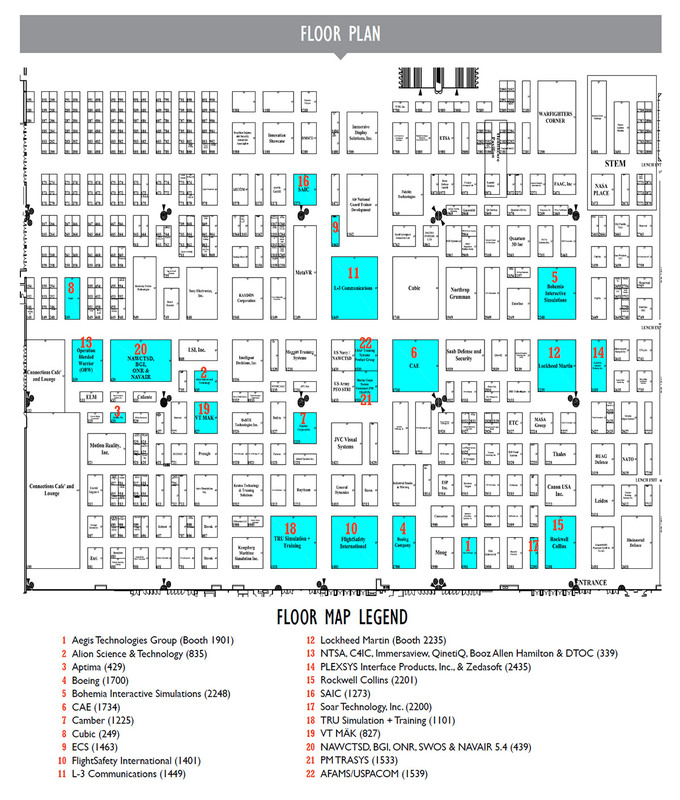 The VADAAR Sender software was installed at each source on the remote booths, making them available over the network. The Viewer software displays these sources from the network, whether on a large display wall, or in a window on an instrument panel. Through capturing the display exactly as it appears, you can rely on VADAAR in every scenario, no matter the software or terrain in use. The composite display at the operations center was then sent back out for display on participants’ booths. This provided context to observers as they went to see the action at other booths. 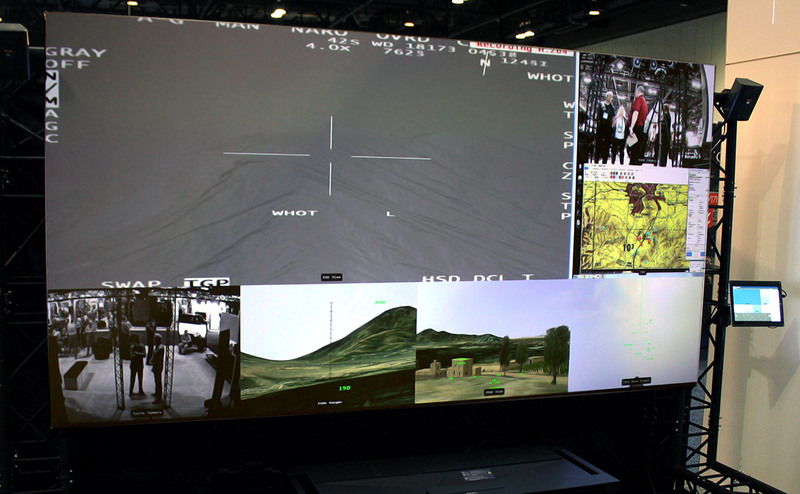 VADAAR was also used with our US Partner IDSI who demonstrated a specialized AAR solution for JTAC training. 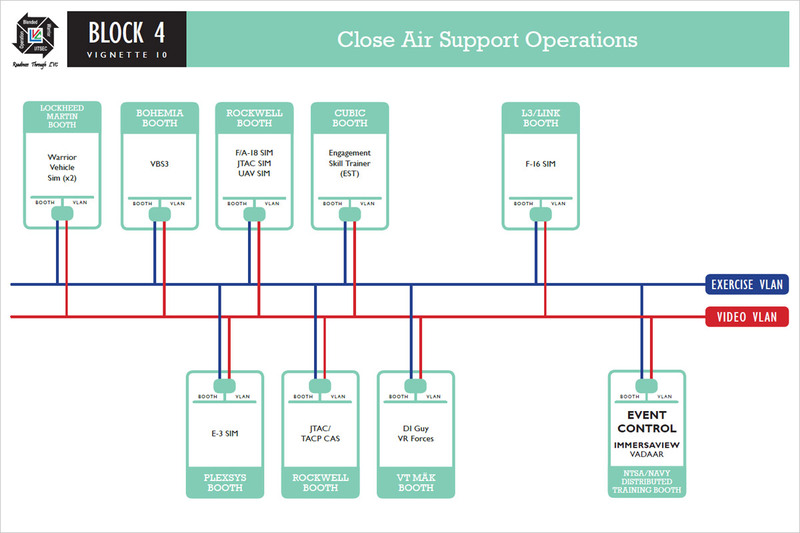 Observers could see a flexible and dynamic display by controlling the focus over UAV feeds, live cameras, instructor stations, and virtual views. The Air National Guard demonstrated use VADAAR for recording and playback of the C130 reconfigurable trainer. The out the window displays, instrument panels, and cameras were all captured and redisplayed in real-time. Recording and playback functionality was also being shown. Find out more about the VADAAR features that enable you to stay in control. We appreciate your interest in VADAAR and we’ll see you in 2016 with our amazing OBW participants.